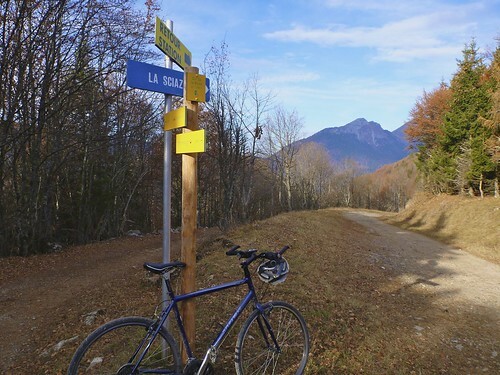 The route starts with the climb to Col des Prés. Note, the profile at left is only for this climb. See the map above for the entire ride profile. After negotiating the little tunnel and reaching St-Jean-d’Arvey, the route is very quiet and scenic. 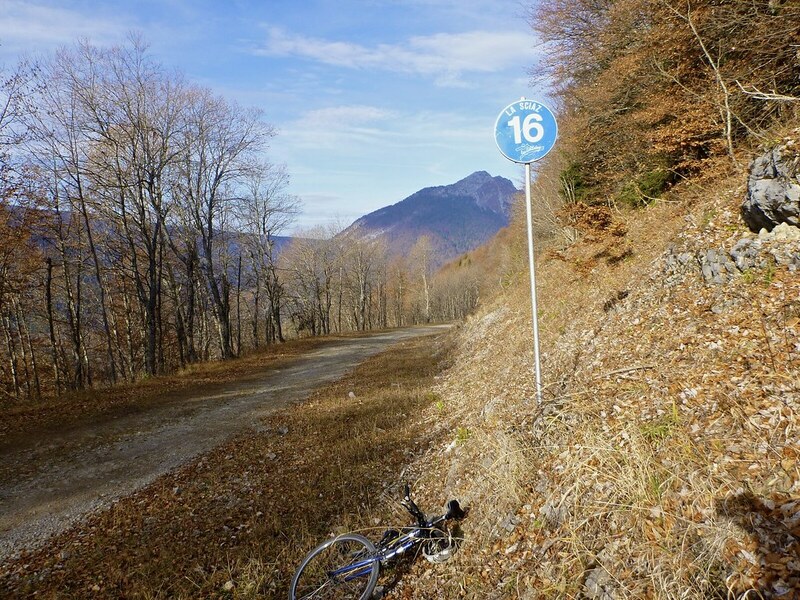 Not the longest, or hardest climb, but it’s enjoyable with some nice hairpins – see photo below – and views of Mont Revard nearby. Don’t confuse Col des Prés with the much tougher and more beautiful Col du Pré, near Cormet de Roselend. See here. Thanks to my friend Bastien at Cycols for this route idea. Cycols is a similar “Col Hunting” blog as mine, but with better photography. After a fun descent to Aillon-le-Jeune, the route turn towards a little ski station. 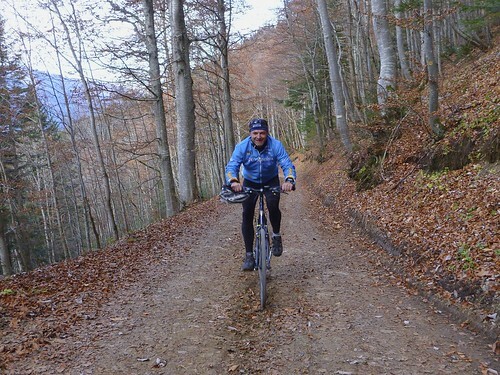 Bastien took the direct – far better surfaced – road directly to col du Lindar. I’ve highlighted it on the map. 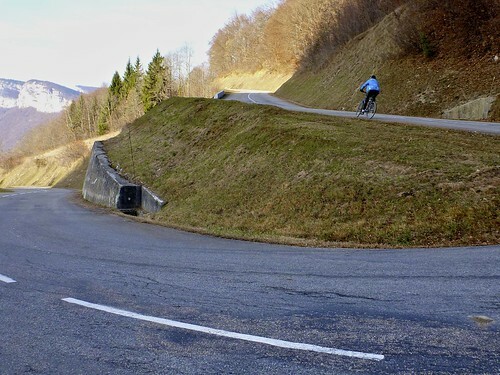 Whereas, I somehow found myself cycling up a ski slope on the way to Col de la Sciaz. This stretch was steep, rocky and hard work – some bike pushing required. 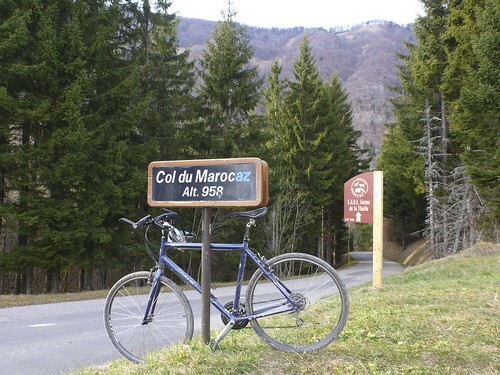 Note, that between La Correrie and Col du Marocaz, the route is not paved. 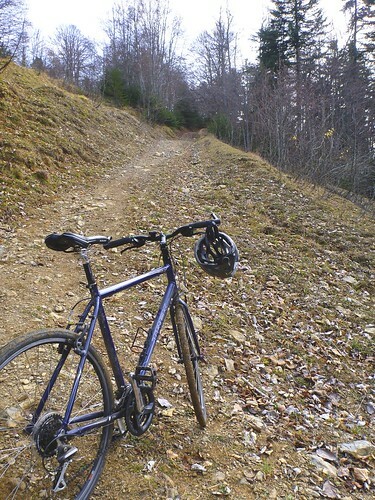 At times it is very steep and rough, both up and down. But most of it is very enjoyable to ride. Upon reaching the top of the ski slope – Col de la Sciaz! 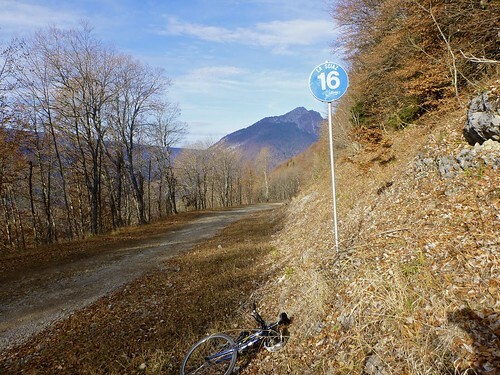 – there is a short, crazy descent and then a nice trail up to Col du Pré du Tour. 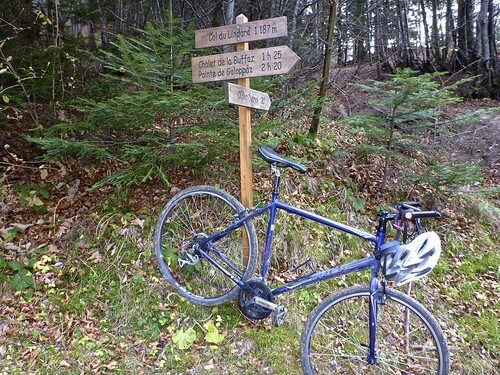 From here, I finally realized that I was well above Col du Lindar. Some of the (hiking) trail down is exceedingingly steep (30%?) – and a little bike pushing was necessary. Part of the goal of today’s ride was to see if Lindar was passable. And indeed the gravel road on the other side is quite good, descending to Col du Marocaz. At this point I made a big mistake. 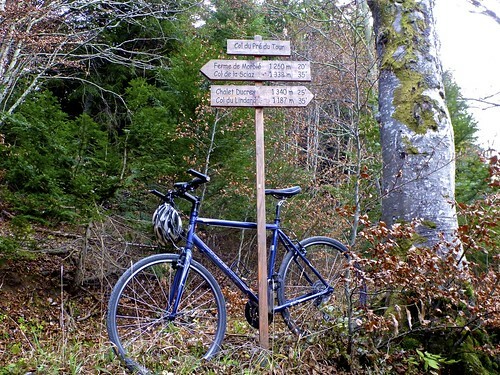 I had mapped out a perfect loop – returning to the start point on the very quiet D11 – marked on the map. But I accidentally descended the wrong side of Marocaz. It’s a wonderful, wonderful descent of a great little climb – for details see here. I didn’t realize my mistake until I was at the bottom, and I was too tired to climb back up. So I was forced to go around the big massif and take some fairly busy roads back to the car. Oops. Luckily French drivers, even during rush hour, are quite polite with cyclists. All in all a fun, quiet loop just before the snow arrives. 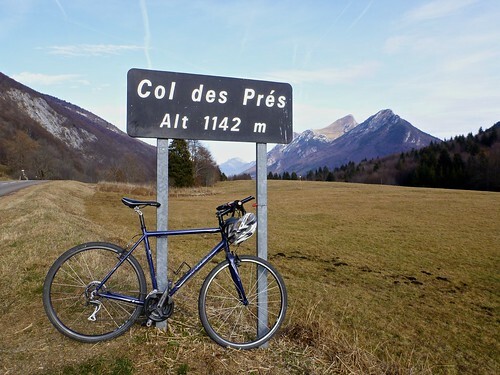 PS – The Col sign for Col du Lindar incorrectly spells it Lindard. I like Revard as a possible winter ride if the roads are dry as it’s well played on the Aix side. Maybe January? Ahh ! Du poussage ? Tu aurais du me faire signe, j’en ai fait une spécialité ! Même si je préfère rester sur le vélo, le col des Prés est très joli je trouve, et pas si facile ! Je vois que tu as fait 2 cols où je ne suis pas passé, j’espère pouvoir les faire l’année prochaine comme d’autres autour de la pointe de la Galopaz…. Les deux cols sont assez intéressants, même si la route est parfois difficile.